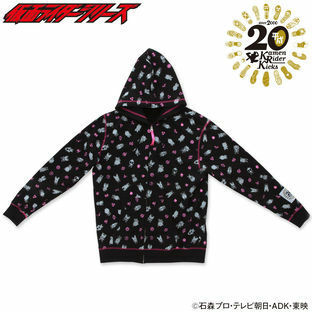 This hoodie was released in celebration of the birth of the 20th Heisei Kamen Rider. 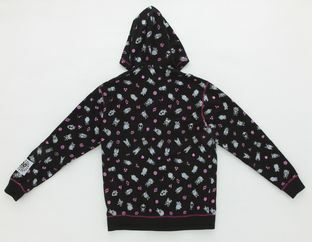 Full of decorative prints, suitable for casual wear. 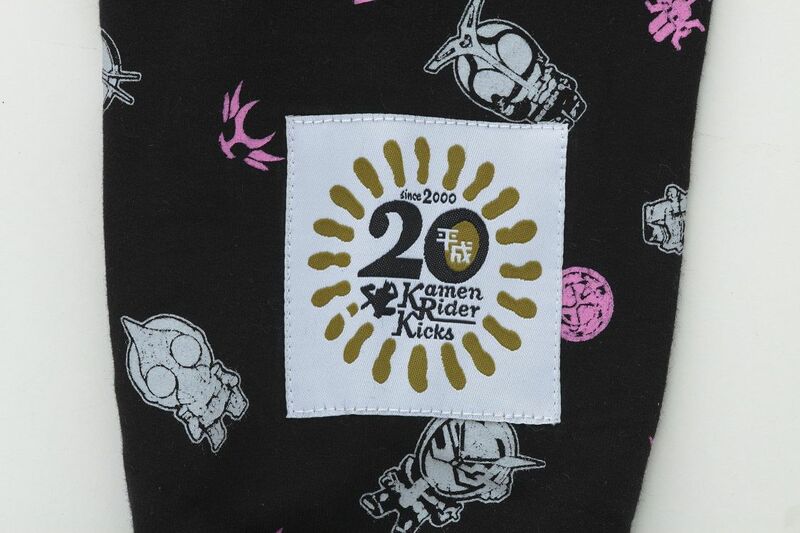 SD images and marks of the 20 Heisei Kamen Riders are scattered all over the hoodie. 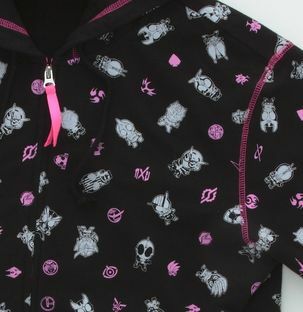 Parts of the hoodie used ZI-O's pink color to make it stand out.